to purchase on the day if you change your mind, what have you got to lose! flower seeds from last year and swap them for something you'd love! Free entry. town we'll be holding a Garden Festival and Country Fair. Lots of stalls in the high street too. The Cheese and Grain, Market Yard, Frome, Somerset BA11 1BE Everything you need to kick start the growing season. Spring-flowering plants, vegetable seeds, potatoes of every variety and bring your collected seed along to swap too! Free Entry and free gardening talks and a selection of workshops to keep you busy and entertained all day. Refreshments available in the Cheese and Grain Cafe. 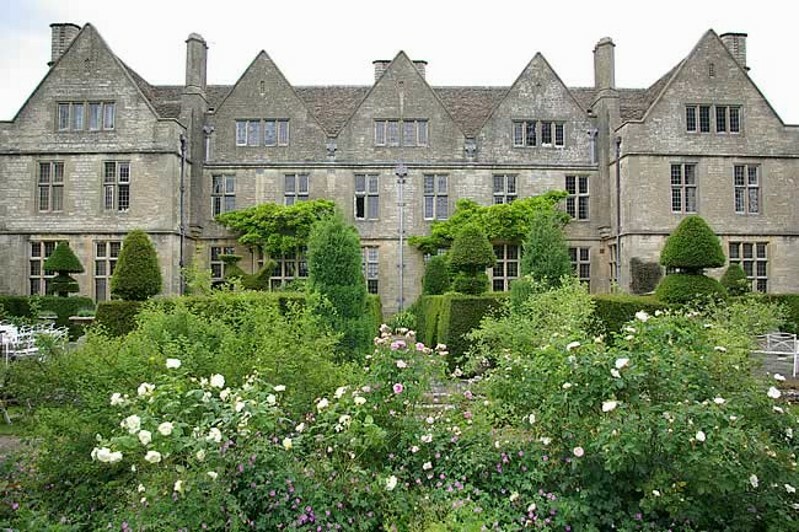 Forde Abbey, Nr Chard, Somerset TA20 4LU. Part of Forde Abbey's famous Crocus Week, a lovely time to see the garden waking up from its Winter hibernation and the Undercroft tearooms will be open throughout the day serving coffees, teas, light lunches and homemade cakes. Beautiful gardens and over 30 plant stalls. A great way to herald in the start of the season. The reduced entry fee to the Plant & Gardening Fair, including admission to Forde Abbey’s 30 acres of award-winning gardens, is £3. Parking is free. Kennaway House, Sidmouth EX10 8NG Nine years ago a generous bequest from a holidaymaker led to the planting of a million daffodil bulbs in and around this beautiful seaside town. It is now a sight to behold and has become a mecca for daffodil lovers. This year Sidmouth are launching their first annual plant fair with daffodil talks by national experts, daffodil art and a photographic exhibition and guided walks to the daffodil sites. Come and experience this stunning coastal backdrop in all it's spring finery. 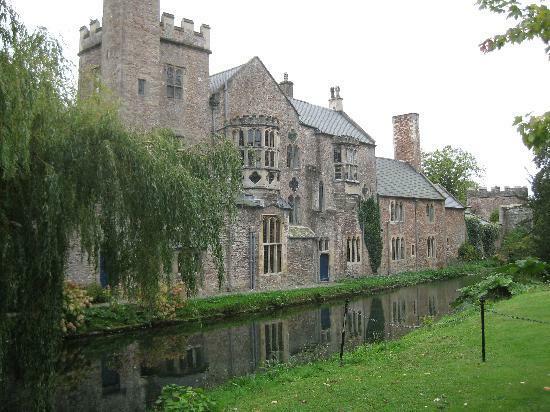 Bishop's Palace, Wells, Somerset BA5 2PD Rare Plant Fair. Explore 14 acres of beautiful gardens, complete with ruins, moat, a maze of bridges, footpaths and an adventure playground to keep children busy for hours and the perfect spot for a picnic in good weather. Entry £6 includes entrance to the palace and gardens (a substantial reduction on normal admission!) Children under 16 free.Follow the Rare Plant Fair link for more information, maps, directions and parking info. The Hardy Plant Society (Somerset group) Early Spring Plant Fair at East Lambrook Manor, South Petherton, Somerset TA13 5AH. 20 of the South West's finest independent nurseries alongside Margery Fish's Grade 1 listed garden (recently featured on BBC2's Great British Garden Revival as one of the premier examples of the English cottage garden style). Admission to the fair and gardens £4.00 (£3.50 to HPS /RHS members)Map. With a NEW VENUE and a new look for 2019, the Cornwall Garden Society Spring Flower Show is set to be the best yet. With an enviable reputation on the national gardening calendar it’s the perfect opportunity to get into the gardening mood for the season to come. So do join us to experience our spring oasis within the Royal Cornwall Showground at Wadebridge, PL27 7JE. The first big flower show of the year. Hundreds of exhibitors, stunning floristry displays including competitive displays of Daffodils and Camellias, various children's activities, live music, extensive refreshments and a bar, make this a fabulous day out for gardening enthusiasts and families alike. Admission £11.00 (£10.00 advance) children under 16 free. Click here to book tickets. Mapperton House, nr Beaminster, Dorset. Charity Plant Fair. A stunning Jacobean manor with beautiful formal gardens (voted in the top 50 UK gardens) including ancient topiary, lake and orangery. The house will be open with wonderful guided tours (an additional admission cost will be charged) Over 30 specialist stands, including giftware, specialist ironmongery and of course lots and lots of plants! Refreshments will be available in the restaurant/cafe. Admission £3 with proceeds going to Dorset Wildlife Trust. Avebury Sportsfield, Avebury, SN8 1QT Avebury is a Neolithic henge monument containing three stone circles, around the village of Avebury in Wiltshire. One of the best known prehistoric sites in Britain, it contains the largest megalithic stone circle in the world. The sports field sits next to the stone circles, which are far more accessible than Stonehenge, making it a great day out for families. The plant fair is a one-off to replace the Barbury Racecourse plant fair, which is unable to run this year and will have the usual large range of specialist nurseries and garden furniture stalls. Adults £3, children (under 12) free. proceeds towards a new village sports pavillion. Hosted by popular TV gardener Toby Buckland at his own nursery in the picturesque surroundings of Powderham Castle, Kenton, Nr Exeter. A two day garden festival celebrating the best in gardening with leading specialist nurseries from throughout the West Country. A much anticipated family fun event with live music and great food. Popular presenters from BBC Two's Gardeners' World - Joe Swift and Frances Tophill - are speaking this year, along with actor and keen gardener John Challis, better known as 'Boycie' from Only Fools and Horses, and RHS judge Jim Buttress..What better way to spend the Bank Holiday weekend? Admission £10.00 in advance, Children (under 16) free. Great Chalfield Manor, nr Melksham, Wiltshire SN12 8NH. Beautiful National Trust manor, set in the tranquil Wiltshire countryside amongst 7 acres of beautiful gardens. In association with Jamie's Farm. Hog roast, cake stall, teas and coffees and 30 specialist nurseries. Admission to fair and gardens £3.00. 30+ Specialist Nurseries selling a wide variety of interesting and unusual Plants. The Shambles, Devizes, Wiltshire SN10 11ZZ A fantastic indoor market in this pretty market town. It's not often you come across a plant fair that isn't weather dependant! Specilaist growers right in the middle of town. Pop in and see us during your lunch break or make a day of it and explore the delights of Devizes. Yarlington House, Nr Wincanton, Somerset. Charity Specialist Plant Sale. Over 31 specialist growers in 2 acres of extensive gardens, including an Italian sunken garden, shade garden and kitchen garden. Set against the stunning backdrop of Yarlington House. Teas, coffees and light refreshments available. Admission £3.00 in aid of Wincanton Village Hall. The Friends of The Holburne Museum Plant Fair, The Holburne Museum, Great Pulteney Street, Bath, BA2 4DB. Held on the front lawns of the museum in the beautiful Georgian city of Bath. Make a day of it, browse the specialist plant stalls, talk to the gardening experts, check out the Holburne's latest exhibition and grab coffee in the Garden Café before wandering over Pulteney Bridge and into the heart of the city for lunch and some sightseeing. 11am - 2pm. Next to the Roundtrees Garden Centre, Congresbury, Bristol BS49 5AA. Local specialist nurseries and members plants for sale in attractive rural setting close to the beautiful west coast. North Somerset Butterfly House on same site (admission charge applicable). Refreshments available. Free entry and parking. Queen Elizabeth's School, Blandford Road, Wimborne Minster, Dorset, BH21 4DT A must-see event for anybody interested in the diversity of small plants, this competitive show is full of surprises. It is run by the Alpine Garden Society, show-casing mountain plants, small herbaceous plants, dwarf shrubs and bulbs. The plant fair will be attended by specialist alpine and non-alpine nurseries bringing plants suitable for most sites. There is a Plant Forum to give you ideas,photographic display and opportunity for plant photography. Come early for the plant sales and enjoy home-baked cakes, hot and cold drinks and light lunches. Admission £3.00 , AGS members and children free. Free parking. Kingston Bagpuize House, Abingdon, Oxfordshire OX13 5AX This 18th century house is in a unique setting on the edge of The White Horse Vale and surrounded by its beautiful garden and parkland. 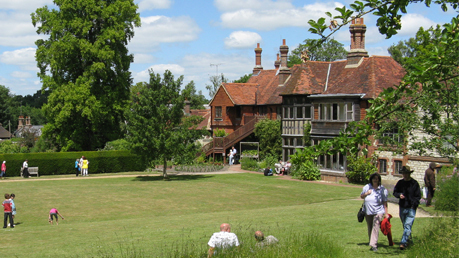 Admission - Fair & Gardens: Adults £5.00, Children over 11 £3.00 House, Fair & Gardens: Adults £8.00 Children £4.50 Please note the House will be open from 1pm until 4pm, the additional fee for entry to the House will be collected at the front door. Donation made to SeeSaw - Grief Support for the Young in Oxfordshire. A real treat for plant lovers and foodies alike. A great day out with friends and family in aid of Action Medical Research. Free parking. Refreshments available. Admission - Adults £3.00, Children free. The 26th Unusual Plant Fair here! The stunning water gardens here are some of the most fabulous I've ever come across and well worth the admission fee on their own! 'Round the World' themed gardens and beautiful wooden glasshouses filled with stunning Cacti and Orchid collections make this a really full day out. Admission £7 Children free. Proceeds to support the above museum and heritage gardens. The 4th garden festival will feature various celebrity speakers, countless specialist nurseries, vintage refreshments, music and entertainment and some fascinating talks from the experts. Too much to fit in here, but suffice to say, this will be an amazing, action-packed event for the whole family. Admission £6.99 in advance, £7.99 on the day Adults, Children -Free. Rodmarton Manor, Nr. Tetbury, Cirencester, Gloucestershire, GL7 6PF Rodmarton Manor is an Arts and Crafts house designed and built in the early 20th Century for Claud and Margaret Biddulph. The architect, Ernest Barnsley, not only designed the house but also laid out the garden. 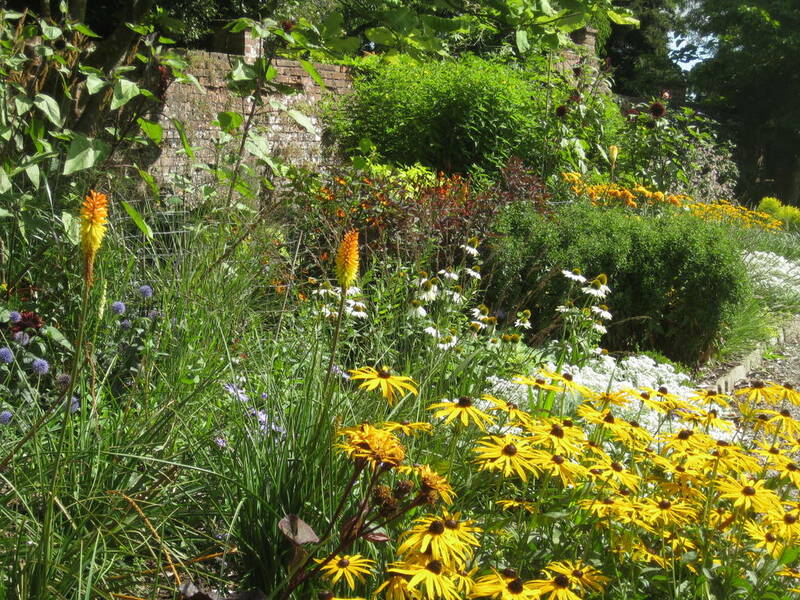 Topiary, herbaceous borders and a beautiful wild garden all make for a wonderful day out for garden lovers. Admission - Entrance £5.00, includes the Fair and Gardens. Children under 16 free. Hestercombe Gardens, Cheddon Fitzpaine, Taunton, Somerset TA2 8LG Organised by the Somerset branch of The Hardy Plant Society. 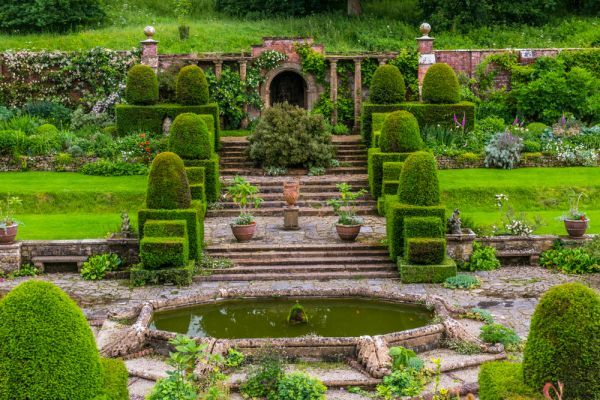 These famous historical gardens, beautifully created according to Edwardian garden designs by Sir Edwin Lutyens and Gertrude Jekyll are a must-see destination for any keen gardener. 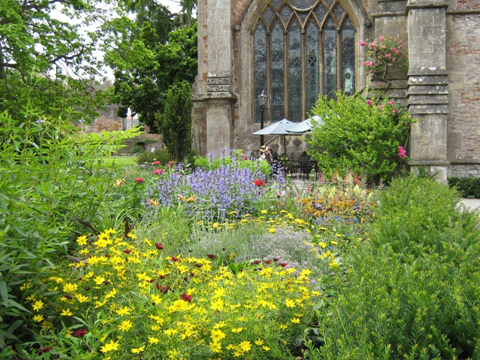 This will be The Hardy Plant Society's first Summer Plant Fair at Hestercombe with a selection of diverse specialist nurseries will be gathering to offer visitors the best of their plants in high summer. Hestercombe’s own nursery will be open, and refreshments available at The Stables Cafe. Admission £5.00. Mapperton House, nr Beaminster, Dorset. Charity Plant Fair. A stunning Jacobean manor with beautiful formal gardens (voted in the top 50 UK gardens) including ancient topiary, lake and orangery. The house will be open with wonderful guided tours (an additional admission cost will be charged) Over 30 specialist stands, including giftware, specialist ironmongery and of course lots and lots of plants! Refreshments will be available in the restaurant/cafe. Admission £3 with proceeds going towards a local charity. A 15-acre listed garden and arboretum with lakes, streams and cascades, created by the Rhyd y Meirch stream as it flows through the garden. Unusual trees including several national champions, shrubs and flowers have been planted since 1790. It is likely that the landscaping trends of Capability Brown influenced the owners in the late 18th Century, as seen by plantings of stately London plane trees and beech which to this day, cast their shadows on the lawns and parkland. A fantastic Rare Plant Fair to end the season with beautiful autumn plantings and a huge range of unusual plants on sale to see you through to next spring!